When it comes to choosing a luxury crossover that fits your busy lifestyle, no other compact SUV comes close to offering more space and horsepower at a great price than the 2019 INFINITI QX50. Visit Zeigler INFINITI of Orland Park today and test-drive your 2019 INFINITI QX50 to experience everything it has to offer. Get behind the wheel of the 2019 INFINITI QX50 and one thing is clear: this is not your typical luxury crossover. For starters, the all-new 2019 INFINITI QX50 is the most advanced INFINITI yet. Equipped with INFINITI’s revolutionary variable compression 2.0L 4-cylinder turbo engine, the 2019 INFINITI QX50 delivers the perfect combination of power and efficiency that competitors like the Lexus NX, Audi Q5 and Mercedes-Benz GLC have yet to claim. 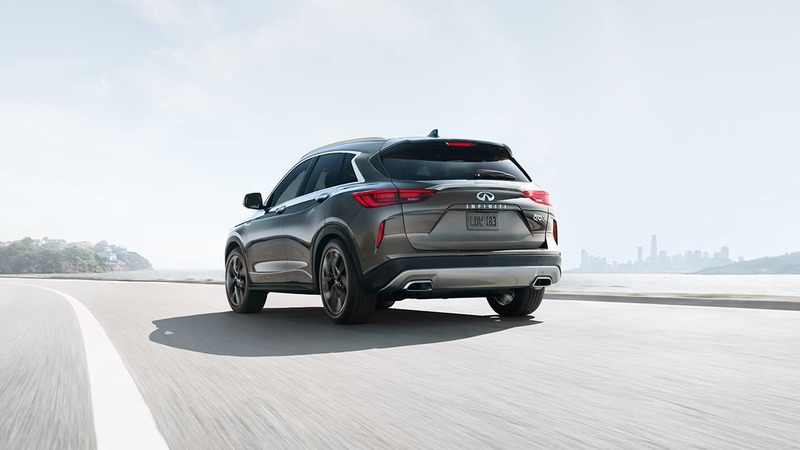 In fact, the new 2019 INFINITI QX50 is capable of up to 268 horsepower and 280 pf torque @ 4,440 rpm, while still maintaining an impressive fuel-efficiency of an EPA-estimated 24 MPG on the streets of Orland Park and 30 MPG on the highways of Illinois. Not to mention best-in-class combined fuel-efficiency of up to an EPA-estimated 27 MPG. The all-new 2019 INFINITI QX50’s interior is as spacious as it is luxurious. With a cargo volume of 31.4 cu.ft. and overall max interior cargo volume 65.1 cu.ft., the 2019 INFINITI QX50 leaves top competitors like the Audi Q5, Lexus NX and even the Mercedes-Benz GLC feeling tiny and cramped. Inside, you’ll also find premium finishes and driver-centric tech features that will keep you focused on the road ahead while keeping you connected with everything around you. The 2019 INFINITI QX50 also offers available Motion Activated Liftgate, a feature not available in the Audi Q5, Lexus NX or the Mercedes-Benz GLC. Safety should never be a luxury, that’s why the new 2019 INFINITI QX50 is designed with you in mind. 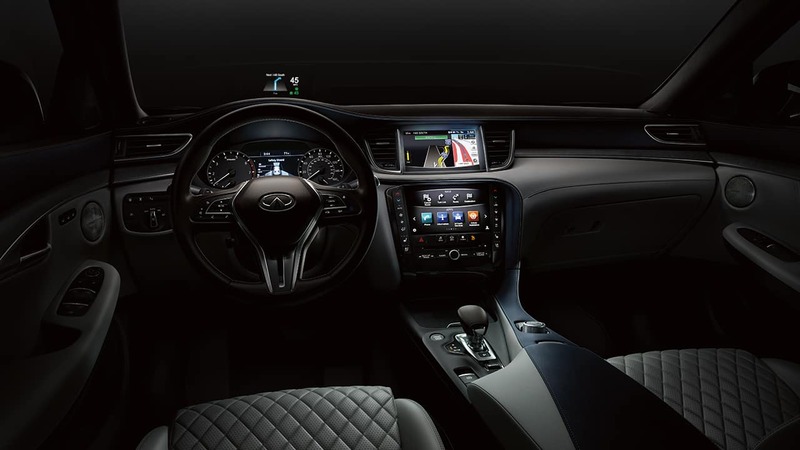 With class-exclusive features like Direct Adaptive Steering and World’s First Technologies like Around View® Monitor with Moving Object Detection, the 2019 INFINITI QX50 comes equipped with everything you need to arrive safely at your destination. Feel more confident behind the wheel knowing your luxury SUV was designed with the latest safety features to aide you when you need them most. The 2019 INFINITI QX50 even offers more available safety features than luxury competitors like the 2019 Audi Q7, Acura MDX, BMW X5, Lexus GX and Volvo XC90. Its World’s First Technology features include Lane Departure Prevention and Lane Departure Warning, Blind Spot Intervention® and more. 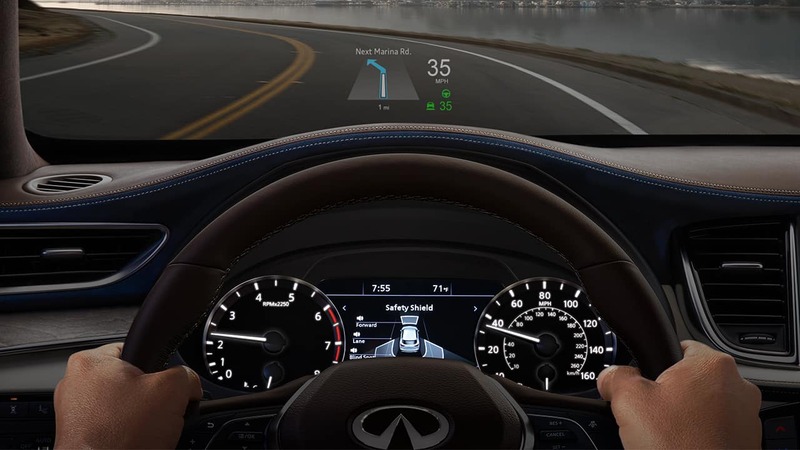 Plus, the 2019 INFINITI QX50 also offers available Class-Exclusive Predictive Forward Collision Warning. Why settle for an Audi Q5, the Mercedes-Benz GLC or the Lexus NX, when you can drive the 2019 INFINITI QX50? Visit Zeigler INFINITI of Orland Park and experience all of the luxury, safety and tech features that the 2019 INFINITI QX50 has to offer. We proudly serve drivers from Orland Park, Orland Hills and the surrounding areas. If you want a dealership that will provide you with the shopping experience you deserve, look no further than INFINITI of Orland Park. INFINITI of Orland Park offers world class services, from a vast selection of new and used INFINITI, through the assistance of the Finance Center, to our INFINITI Service Center that knows how to take care of all your INFINITI needs.